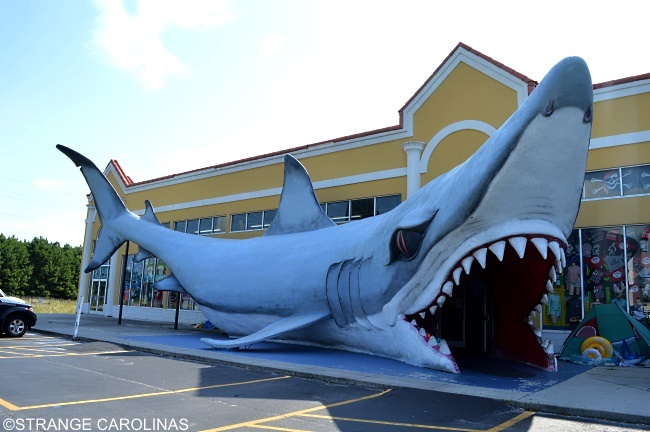 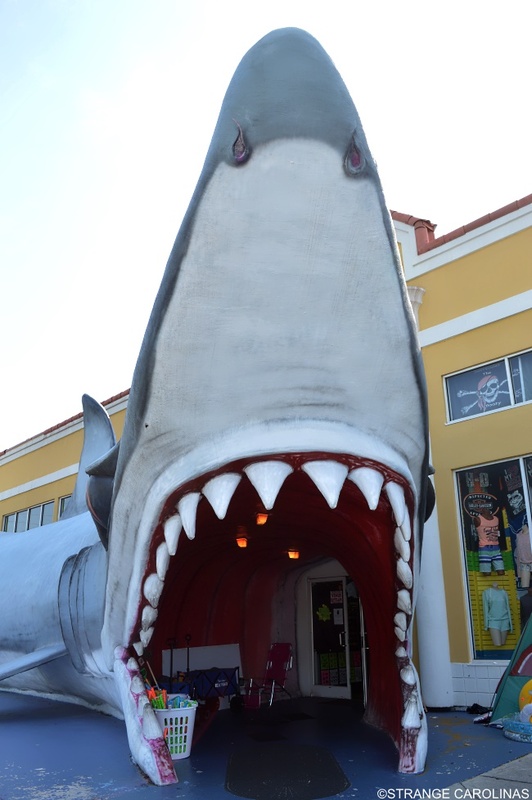 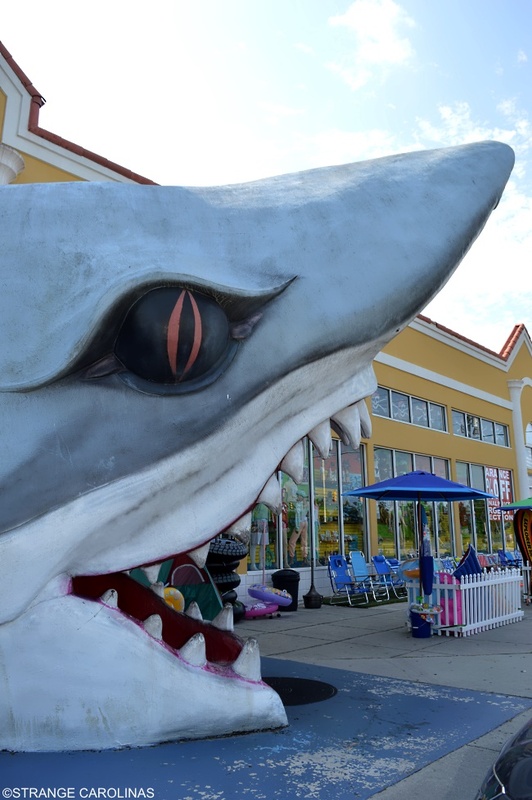 This is the "world's largest shark" and you must boldly venture through its mouth to enter the Shark Attack surf shop in Sneads Ferry. 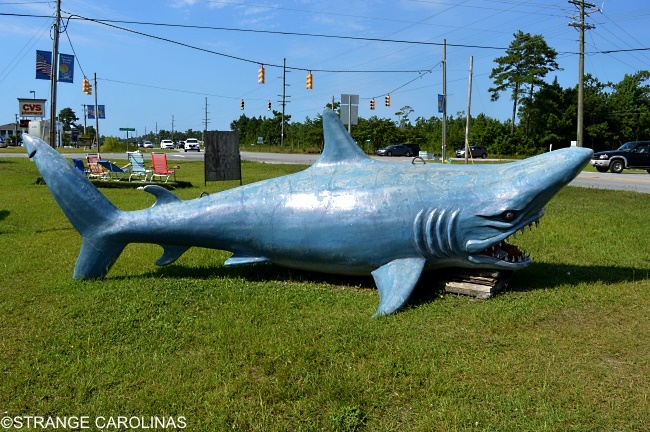 It was created by shark artist extraordinaire Bob Duato. 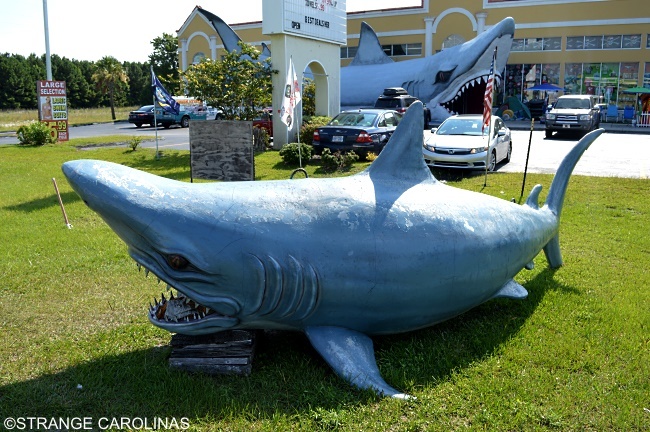 Duato also created a smaller, but no less impressive shark that sits by the road in front of Shark Attack.